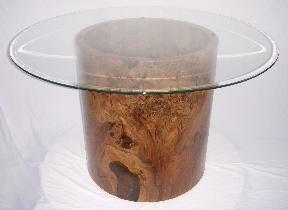 Solid black walnut burl table 30" x 30" with some natural edge, bark inclusions, beautiful swirly grain patterns, and a 54" beveled edge glass top. 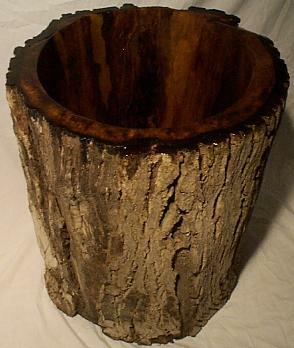 Along with it is a black walnut burl chair carved from a outer cylinder with natural edges, barked surfaces, and a seat with the graft between black walnut and paradox walnut . 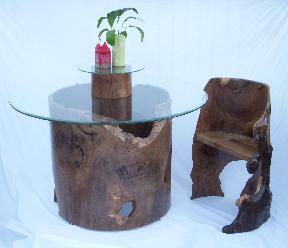 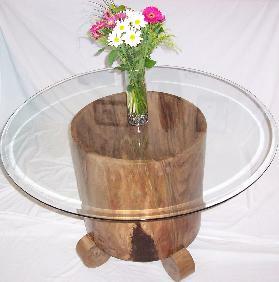 Solid black walnut burl table 26" x 30" lathed from a solid log with a 48" beveled edge round glass table top. 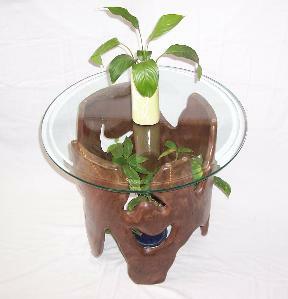 Four adjustable swiveling legs allow for leveling on uneven surfaces. 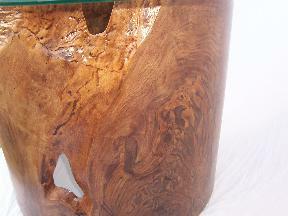 Close-up of beautiful swirling black walnut burl grain patterns and natural edges. 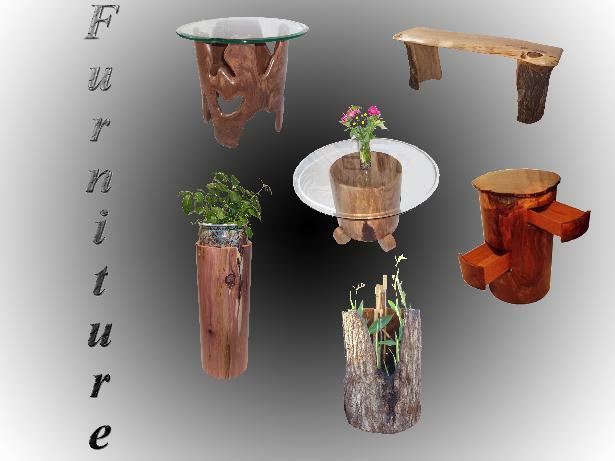 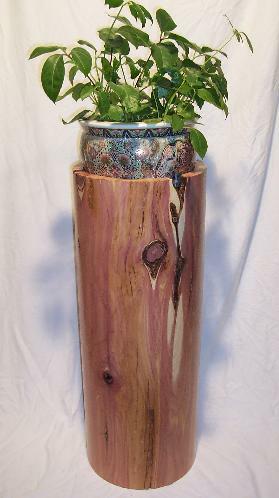 Solid Red Cedar cylinder can be used as a planter, sculpture pedestal, coffee tablewith a round piece of glass on top, furniture, etc. 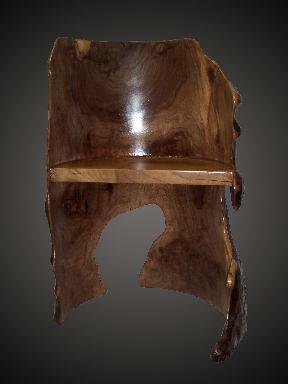 Exotic black walnut burl chair carved from solid wood. 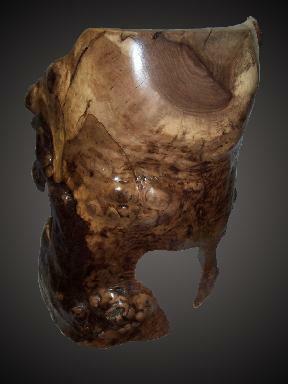 The beautiful natural edges, barked sections, and scattered burl make this one-of-a-kind piece of usable art a perfect accent to any home or office. 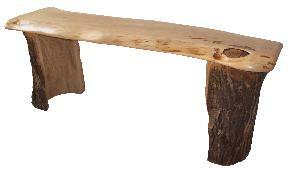 This piece can also be used for a shelf, book-case, coffee table, or plant stand. 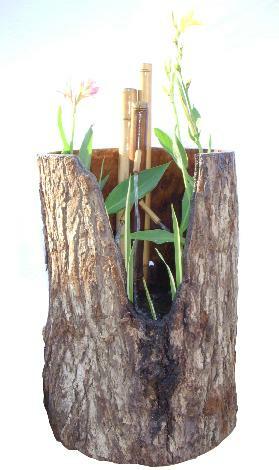 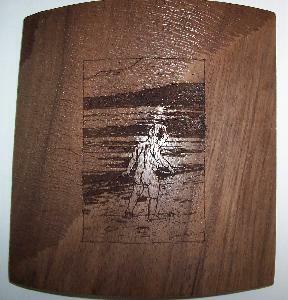 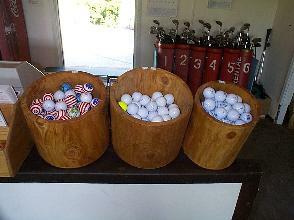 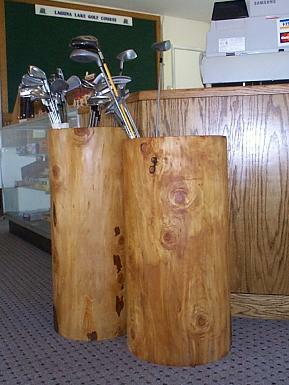 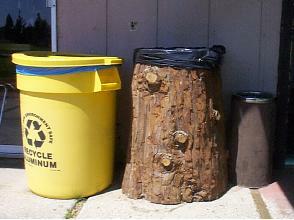 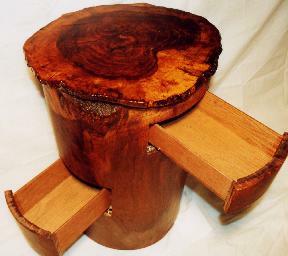 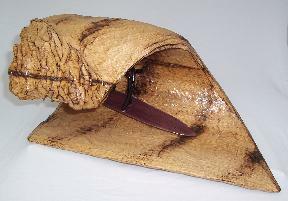 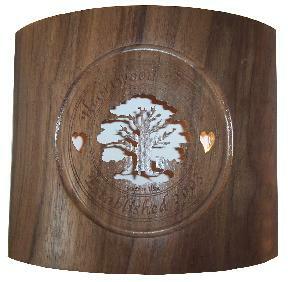 As a barrel for your umbrella, walking stick, or other items . 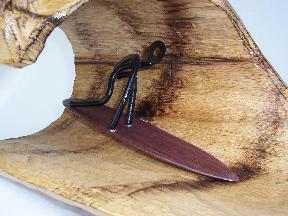 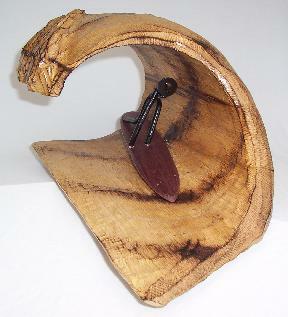 Solid Oak wave 8" tall by 15" long with a surfer grabbing the rail and getting barreled on a Purple Heart surf board.